Airlines PNG (Port Moresby) is rebranding as PNG Air with the delivery of the first new ATR 72-600. The company is replacing its older de Havilland Canada DHC-8-100 Dash 8 fleet with the new ATRs and has taken the opportunity to change its image. According to the airline’s Chairman Murray Woo, “The Company’s capital was restructured so that the Company is now unambiguously PNG owned and a permanent part of the country’s infrastructure and economy. The decision was made to re-fleet with the ATR 72-600, meaning the airline will be the only carrier in the country servicing all major ports in the domestic market with new, efficient, highly reliable, state of the art aircraft. That will allow the airline for the first time to offer what is clearly the premium product on domestic routes. Copyright Photo: Eurospot. 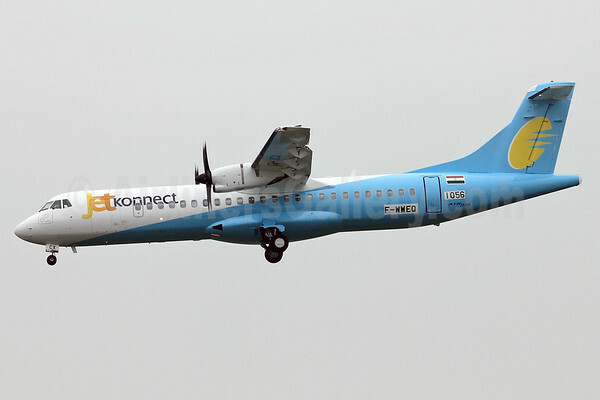 The pictured ATR 72-212A (ATR 72-600) F-WWEQ (msn 1287) will become P2-ATR on delivery. It displays the new brand. 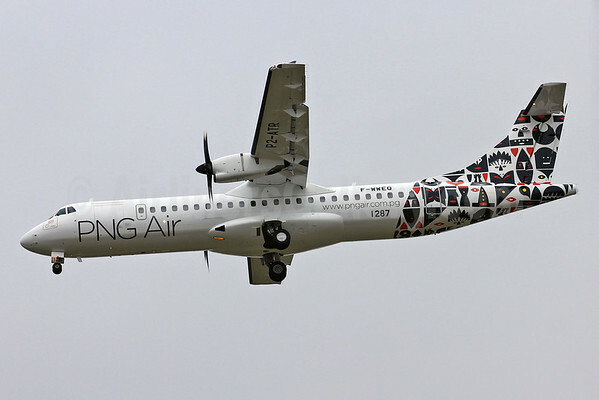 This entry was posted in Airlines PNG, PNG Air and tagged 1287, Airlines PNG, ATR, ATR 72, ATR 72-212A, ATR 72-600, F-WWEQ, PNG Air, TLS, Toulouse on October 26, 2015 by Bruce Drum.